With over 40 years of experience behind us, we at IL PICCOLO carry with us a wealth of technical and design knowledge of the highest level, thanks to the many interiors designed and furnished all over the world. 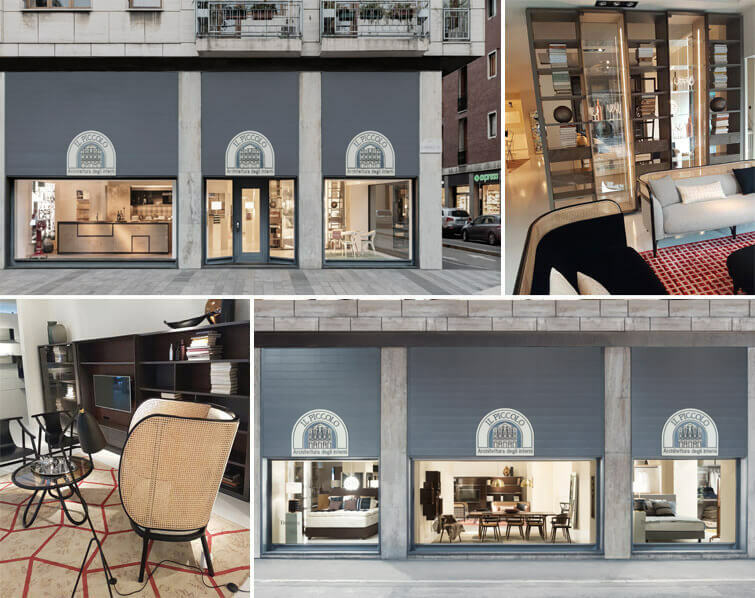 In addition, as IL PICCOLO we represent many of the most prestigious international furniture brands, exhibited in the heart of uptown Milan, in Brera area, on Corso Garibaldi. Always attentive to the needs of the most sophisticated customers, as IL PICCOLO we distinguish ourselves by our attention to the small details that make each room unique. In fact, the care for the details is a fundamental part of the process that has made us evolve from being just furnishing suppliers into becoming interior decorators at 360°. Over the years, our skills have become more and more diversified, to the point of being able to create, for our customers, any environment, no matter what specific or individual might the taste be. From wallpaper to trompe l’oeil, from bronze castings to wrought brass pieces, from the most precious solid woods to inlaid boiseries, nothing is too difficult or unusual for IL PICCOLO. IL PICCOLO has for years been a point of reference for the lovers of the most sophisticated design, to which we add, with passion and dedication, our love for art. IL PICCOLO thus becomes the trait d’union between design and art, selecting for the most demanding customers only the furniture of absolute quality and attractive design, and even one-off pieces, in which a design object is transformed into a work of art.